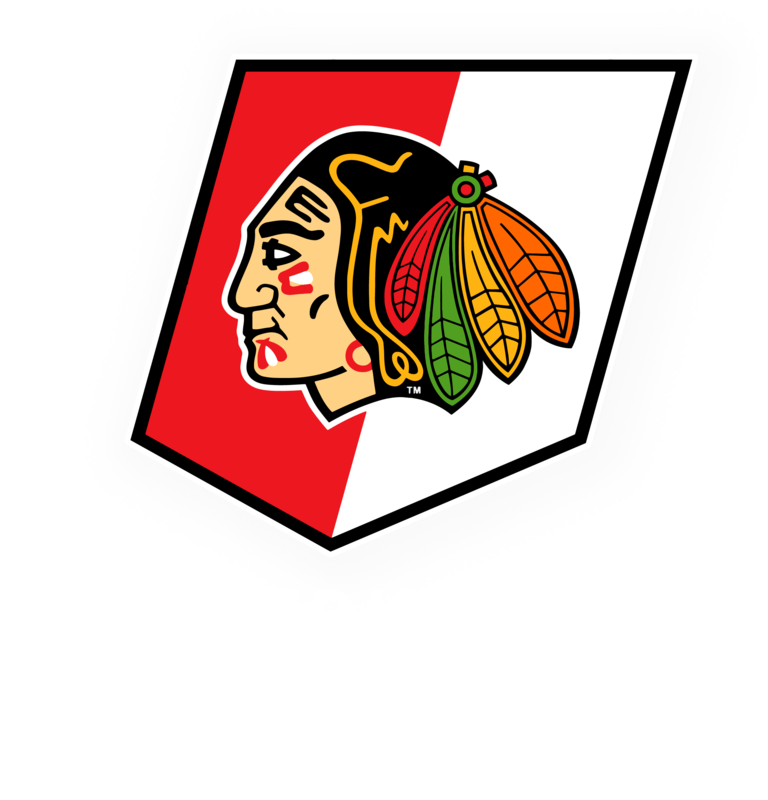 Welcome to the Winterhawks’ Skate School program! 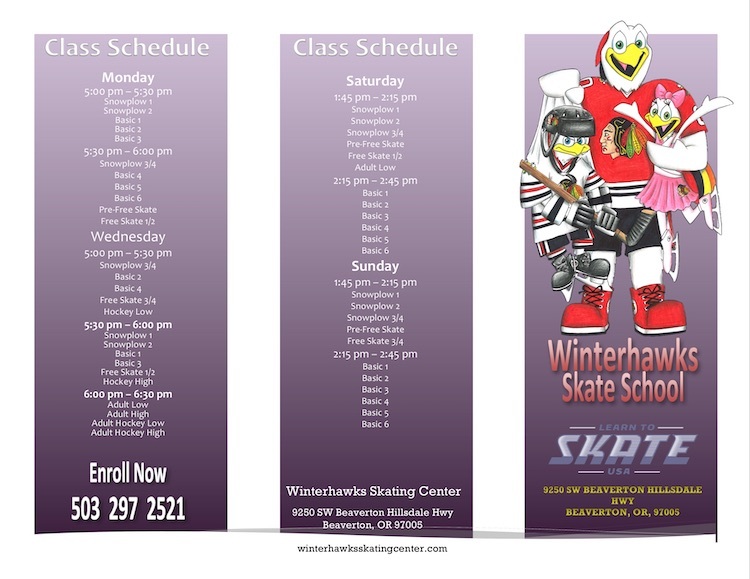 We are pleased to offer an array of classes aimed to support the beginning to advanced skater in both Hockey and Figure Skating. 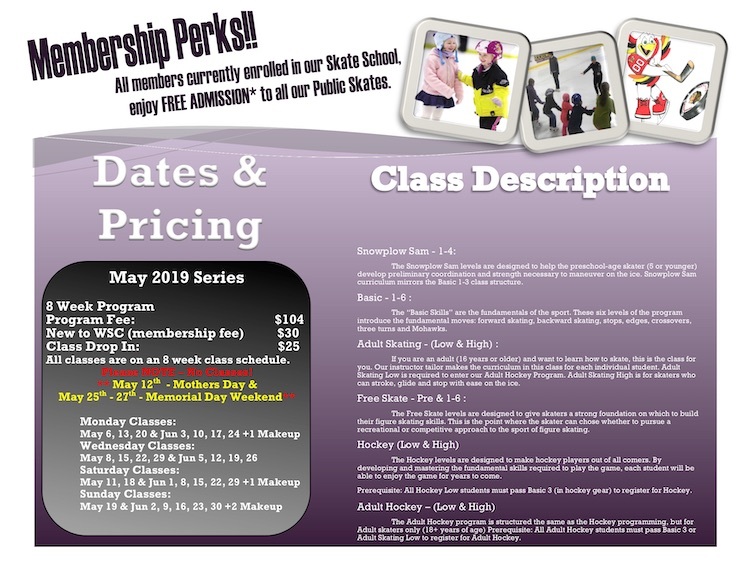 Our MAY 2019 Series will begin on Monday May 6th with classes on Monday, Wednesday, Saturday & Sunday. We are now taking registration for ALL STUDENTS!! You may register ONLINE, remember that space is limited. Make sure to register early!! Click on the picture below to enter our online registration system. Are you looking for information about our Specialty classes on Saturday mornings? Please call the rink for more information or visit the Freestyle Specialty Class page.